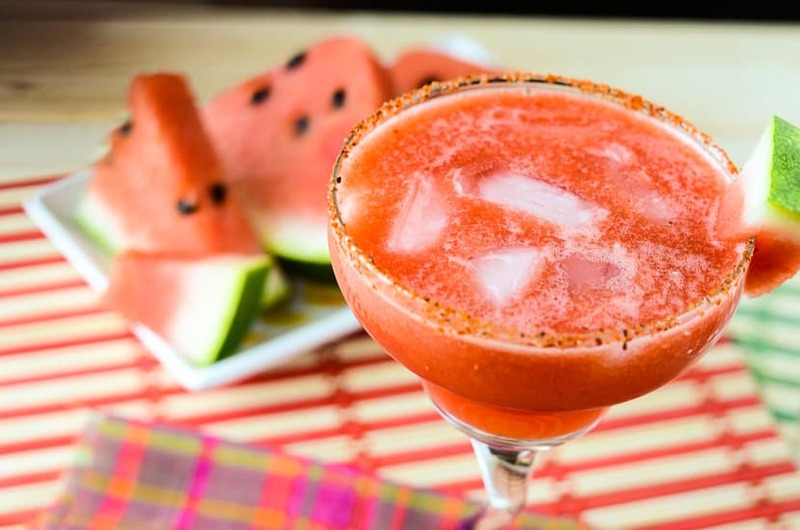 A summery twist on a classic drink, this Spicy Watermelon Margarita kicks up flavor a notch with the use of strawberries and jalapeno-infused tequila! At last! Mr. Crumby and I made it to our (end of) summer vacation! And not a moment too soon. Work is finally winding down for the summer (working at a beachside grocery store in Florida is insaaaaaane ), and it’s finally time to relax and get some stuff done around the house. To kick off my time away from work, I spent all day today cleaning. Which, yes I know, is essentially still work, but it’s for my own enjoyment and appreciation. The kitchen, the bathrooms, laundry, dishes, vacuumed, bathed the pooch. After all that non-work work, I decided to treat myself to my first vacation drink! 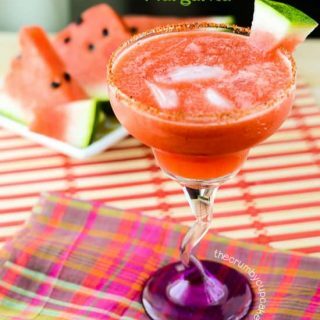 Inspired by this masterpiece from What’s Gaby Cooking, I used the last quarter of the huge watermelon we bought last week to make this Spicy MelonBerry Margarita. Well, it’s mostly made of watermelon, I tossed in some strawberries, and you can blame the spicy on the half jalapeño that I soaked in my tequila. If you ever want to make a shot of tequila even more kick-you-in-the-face, just throw a jalapeño in there. Even your chaser won’t help. Oh, and the Tajin powder rim on the glass? Have I told you how much I love that stuff? It’s chili and lime and salty and OMG so good. I don’t usually drink from all sides of a margarita glass, because it can get super salty, but with Tajin…it’s lick-the-rim-clean good. I may have to go out and buy more watermelon tomorrow. I want this margarita to make a repeat appearance before this vacation is over! Next time, we’ll do it frozen-style! Place jalapeno into cup of tequila and let soak for 2-4 hours, or overnight if you really want a kick! 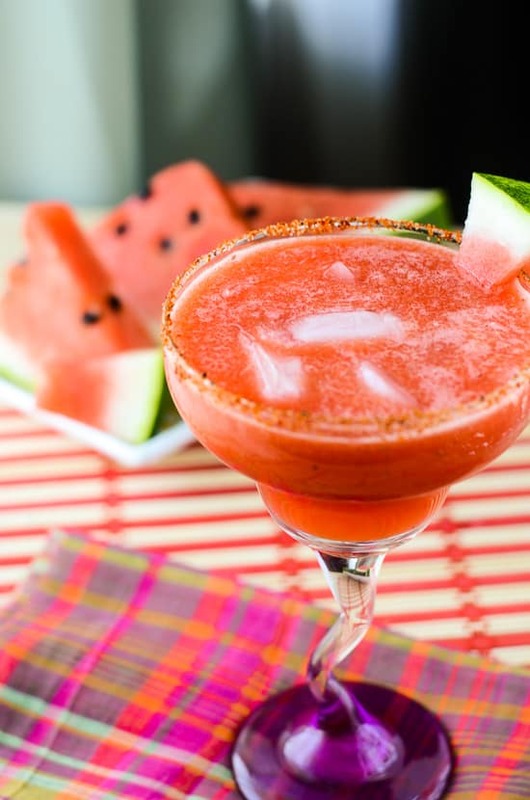 Place salt and/or Tajin powder in a saucer; rub the rims of 4 glasses with a lime wedge; spin rim of each glass in salt/Tajin to coat. Fill each prepared glass with ice (if desired), then portion out margarita. 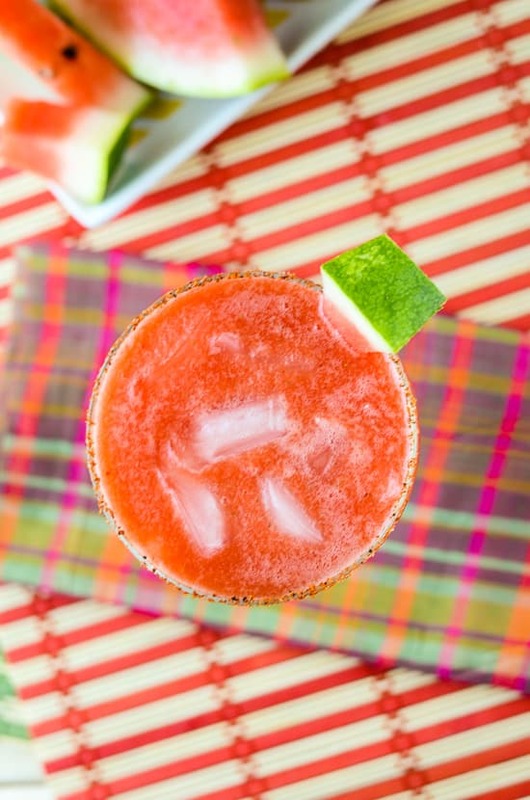 Garnish with a lime wedge, sliced strawberry, or a chunk of watermelon and drink up! So spicy and so sweet and so summery and so yum! 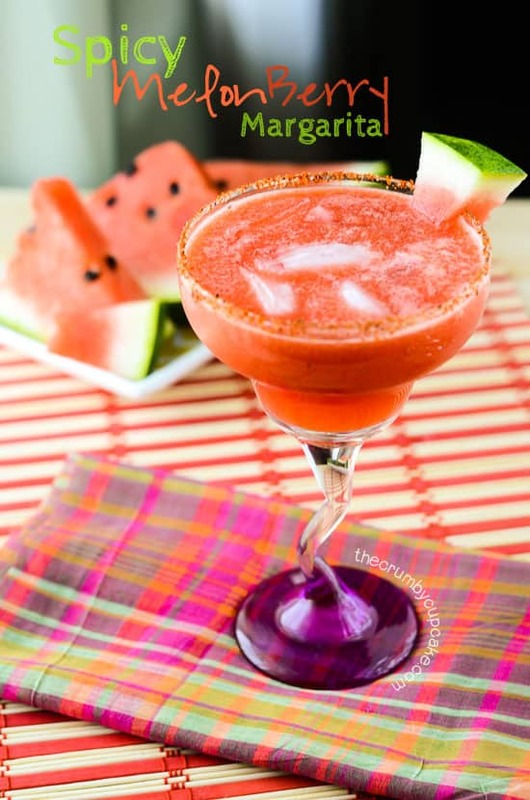 I love watermelon, and I love icy drinks, so this is a must-try for me! I’m also a saltoholic, and I always lick all of the salt off of my glass. 🙂 Yum! I tried some jalapeno wine at a wine tasting a few years back and didn’t expect to like it, but I really did. It had a nice kick to it! This looks like something I would like to try. I had never thought to try spicy anything in a drink, but I’m so glad I did! I bet jalapeno wine is delish, too! This looks absolutely amazing and refreshing! Thank you!! Give it a try! Absolutely! 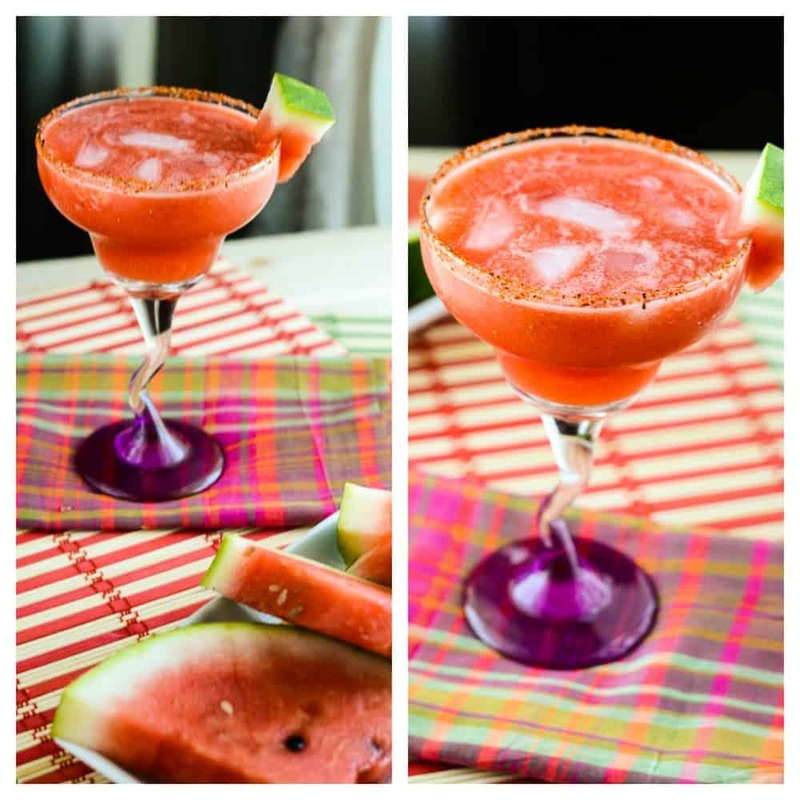 I think we could even give watermelon a shot off season, the other ingredients could compensate for the lack of perfect sweetness! mmmmmmmm Margaritas are my absolute favorite!! I love them so so much. The perfect combination of sweet and tangy. I cant wait to try this one! I feel ya, girl. I could go for one right now! Let me know how you like it! I wonder if this can be made non-alcoholic? Your pictures are beautiful! Yes, house cleaning is still work, even more hard sometimes! Thank you, Shirley! I’m sure it absolutely can be made non-alcoholic…maybe tossing in a fruit juice or lemonade instead of the alcohol. I’m sure that would do the trick! Give it a try! They absolutely could be non-alcoholic! 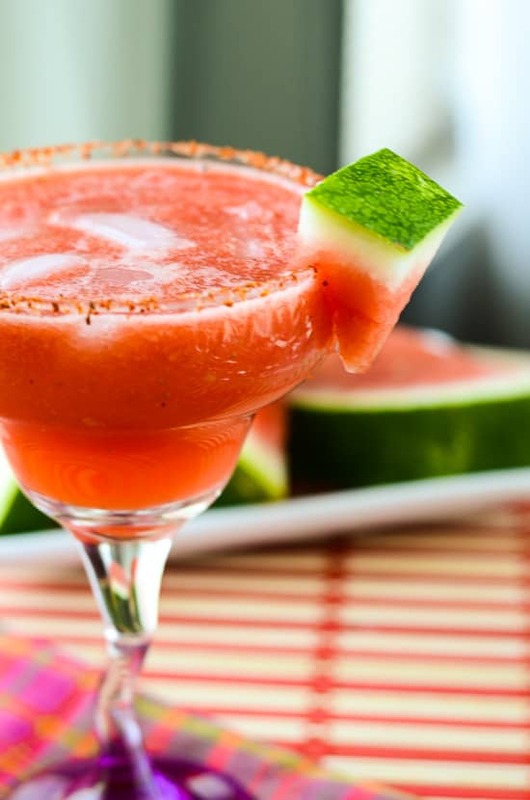 Instead of tequila and triple sec, add in your favorite fruit juice or lemonade, or even just a sparkling or flavored water. I’d probably leave out the agave also, but I think it would be just as delish without the buzz! Thank you, Brenda! It’s perfect for a hot summer day.